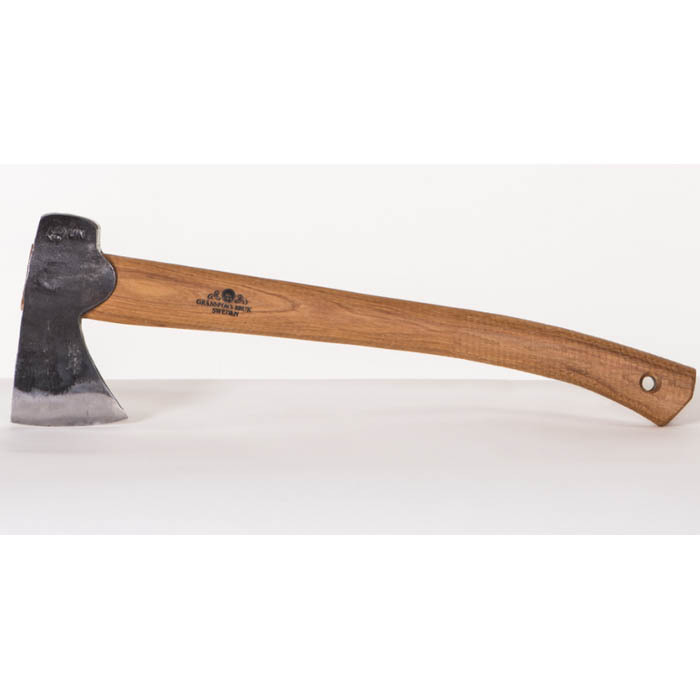 The Gransfors Hunters Axe is specially made for hunting. The poll is forged thinner than normal and gently rounded and burnished to a Flay Poll to be used when skinning an animal. You pull the hide with one hand at the same time you hit with the Flay Poll of the axe between the hide and the flesh; and stroke by stroke the hide comes off. The axe is good for chopping, in wood as well as meat. The grip of the handle has circular grooves which gives a steady grip even if your hands are wet or sticky. This axe has received, as the first and only axe in Sweden, a design award from The Swedish Society of Crafts and Design. The axe has a 3 1/4" face. The head weighs 1 1/2 lb.